Robischon always presents a wonderfully sophisticated art show. It feels weirdly educational as well as brings a sharp representation of local and global contemporary art. 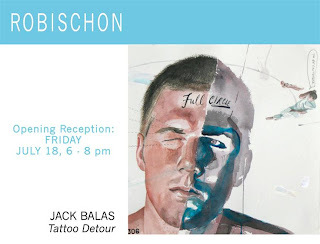 Balas' work is also being shown at mca/denver and an opening reception will be held in the artist's honor on the 18th as well. I guess it's a Robischon/MCA night for us. Sounds cool....especially if you're going to the rooftop cafe!